As we have the fastest transit facility, we are capable of delivering the orders within the postulated time. 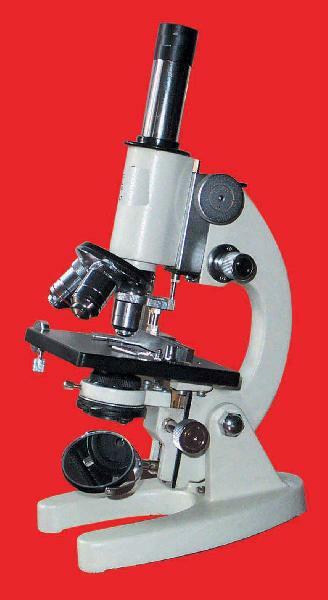 We are a leading name offering the best in class and qualitative array of Portable Microscope. Widely used in Pathological labs and Educational institutes. Pressure Die-Cast interchangeable components with robust & sturdy construction. Separate Coarse & graduated Fine Motion with sensitivity of 0.002 mm. Fitted with attachable graduated Mechanical Stage having X and Y movements. Sub stage Abbe Condenser with Iris Diaphragm & filter holder, focussable with rack & pinion. Objective - A chromatic 10x , 40x/45x (SL) & 100x (SL) Oil Immersion. Scratch proof highly resistant epoxy finish / powder coated. Packed in Styrofoam packing inside a Sunmica clad Plywood box. Supplied with detailed working manual, Dust Cover, cleaning cloth & lens cleaning paper.